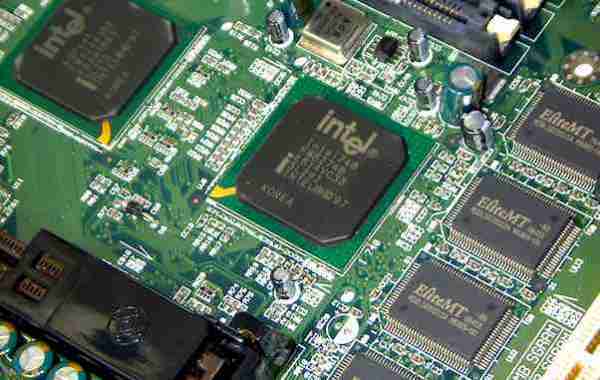 Intel Corporation ensures the long-term success of its semiconductor business by addressing issues in its remote or macro-environment, such as the ones shown in this PESTEL/PESTLE analysis of the company. The PESTEL/PESTLE Analysis allows business decision-makers and investors to look into the external factors that affect the firm and its remote or macro-environment. In this case, Intel’s business performance is constantly under the influence of such external factors. The company must continually develop and implement strategies that address these factors. As a leader in the semiconductor industry, Intel has the resources and capacity to withstand the possible threats from such external factors. Also, the company is in an industry position that empowers it to effectively exploit opportunities in its remote or macro-environment. Continuous evolution of strategies is needed to support Intel, especially when considering the rapid rate of innovation in the global market for products that involve microprocessors, such as laptops and smartphones. A PESTEL/PESTLE analysis of Intel Corporation points to the changing characteristics of the remote or macro-environment of the business. The changes are linked to the dynamic nature of the global market for semiconductors, particularly markets for computing system processors. The analysis shows that Intel faces a wide variety of external factors that determine the conditions of the semiconductor market. Some of these external factors highlight opportunities that the company must include in its considerations for long-term strategic direction. Exploiting opportunities, especially new ones, is critically important in Intel’s business, which faces issues in its dependence on Windows systems (Read: SWOT Analysis of Intel Corporation). Government support for globalization presents an opportunity for Intel to expand its business based on improving market conditions. However, this external factor also creates the threat of increasing potential competition, as more foreign firms gain access to the global market for semiconductors, especially microprocessors. On the other hand, the improving intergovernmental action against monopoly facilitates Intel’s growth based on the increasing number of firms that sell products like laptops and desktops. However, the same external factor imposes the threat of potential increase in competition in the semiconductor market. Nonetheless, Intel can benefit from the opportunities linked to improved protection for its intellectual properties, as governments cooperate to develop appropriate legal protections. For example, the company can expect enhanced protection for its patents as it develops and fabricates new microprocessors. In this aspect of the PESTEL/PESTLE analysis of Intel, strategic decision-making must consider the notable threats in the remote or macro-environment. The majority of developed markets are relatively economically stable. This external factor presents an opportunity for Intel Corporation to improve the revenues of its semiconductor business. For example, the company has the opportunity to aggressively enter new alliances in these markets to strengthen its competitiveness and increase its market share. In relation, the external factor of the rapid growth of developing markets creates opportunities to further improve business performance. For instance, consumers in developing markets like those in Asia are increasing their purchase rates of computing devices, many of which contain Intel processors. As a result, the company can expect corresponding improvements in revenues from these markets. Furthermore, there are opportunities based on the increasing levels of disposable incomes worldwide. With high disposable incomes, consumers are more capable of purchasing new computers that contain Intel microprocessors. It is notable that these effects of such economic external factors are indirect, considering that the company’s direct customers are equipment manufacturers, such as laptop manufacturers, and not the end-users of computers (Read More: Porter’s Five Forces Analysis of Intel Corporation). This aspect of the PESTEL/PESTLE analysis of Intel shows growth opportunities in the remote or macro-environment of the semiconductor industry. Improving wealth distribution is a social trend that increases the buying capacity of more people. As a result, they are more capable of purchasing computing devices with Intel processors. On the other hand, the rising attitudes favoring ecological products create opportunity for the company to improve its products. For example, Intel can develop and fabricate new microprocessors that have higher energy efficiency. Leaving this sociocultural external factor unaddressed could threaten the company, as other firms could develop competitive advantage based on the energy efficiency of their products. The increasing level of interactions via the Internet is another consideration for Intel’s strategic decision-making. This external factor creates opportunities for the company to develop better products for online communications and network gaming. These efforts should reflect Intel’s generic strategy and intensive growth strategies. For instance, the company must highlight differentiation in developing products to ensure competitive advantage. Based on this aspect of the PESTEL/PESTLE analysis of Intel Corporation, there are significant threats and market opportunities in the remote or macro-environment of the semiconductor industry. The increasing adoption of mobile devices is a threat because Intel has insignificant presence in the smartphone processor market. The company’s focus is primarily on processors for desktop/laptop systems, especially Windows systems. Nonetheless, Intel has an opportunity to develop competitive processors for mobile devices like smartphones. This is a significant opportunity, considering the rapid growth of the mobile device market. The rapid R&D investment rate threatens Intel in terms of competitors’ increasing aggressiveness in product development. However, this technological external factor also creates an opportunity for the company to increase its R&D efforts to counteract competitive rivalry. For example, Intel can develop better products to effectively compete in the desktop systems processor market and the mobile device processor market. Furthermore, the company benefits from the high rate of technological obsolescence, which compels consumers to buy more computing devices as new models are frequently released to the market. This aspect of the PESTEL/PESTLE analysis shows that Intel must improve its product development strategy to exploit the opportunities identified in the remote or macro-environment. The increasing level of environmental contamination, especially due to electronic waste, threatens Intel via the response of consumers. For example, this ecological external factor discourages consumers from purchasing computers that use processors with low energy efficiency. Inaction makes this factor a threat against Intel. However, the company has taken appropriate steps by developing more energy-efficient processors, in the process exploiting the opportunity to satisfy customers regarding this issue. In relation, the rising interest in environmental programs opens opportunities for Intel to improve its environmental strategy. Moreover, the rising emphasis on business sustainability creates opportunities for Intel to enhance its sustainability status to satisfy customers’ concerns (Read: Intel’s Corporate Social Responsibility Strategy & Stakeholders). Based on this aspect of the PESTEL/PESTLE analysis of Intel, there is considerable opportunity to improve the environmental impacts of the firm and address related concerns in the remote or macro-environment of the business. Intel Corporation experiences the threat of increasing competitive regulations. This legal external factor is a threat because the company enjoys a virtual monopoly on Windows systems. Competitors like AMD have considerable market shares but Intel has the biggest market share. The company is also criticized for aggressive noncompetitive arrangements with equipment manufacturers. On the other hand, improving international patent protection presents opportunities in terms of protecting Intel’s intellectual properties like the designs of its microprocessors. However, the rising complexity of waste disposal regulations around the world threatens the company because of their implications on how e-waste is addressed. For example, these regulations impose pressure on Intel’s designs and efforts to address product end-of-life concerns. Still, the company has an opportunity to continue enhancing these efforts to ensure regulatory compliance. This aspect of the PESTEL/PESTLE analysis identifies considerable regulatory threats along with opportunities for Intel to improve its business resilience amid challenges in the remote or macro-environment. This PESTEL/PESTLE analysis of Intel outlines key opportunities and threats in the remote or macro-environment of the semiconductor industry. While the company is in a strong position, addressing these external factors builds competitive advantage and long-term business resilience. A recommendation is that Intel should enter new alliances with mobile device manufacturers, in addition to the one it has with Microsoft. Such alliances can help address the external factor of the increasing adoption of mobile devices, especially smartphones. It is also recommended that Intel should continue its efforts to capture a dominant share of the smartphone processor market. For example, improved mobile processor designs can increase the company’s share in this market. Other recommendations include improving business sustainability and the environmental friendliness of Intel’s products. Dockalikova, I., & Klozikova, J. (2014, November). MCDM Methods in Practice: Determining the Significance of PESTEL Analysis Criteria. In European Conference on Management, Leadership & Governance (p. 418). Academic Conferences International Limited. Housing Industry Association (2011). An Introduction to PESTLE Analysis. HIA Ltd.
Meyer, D. (2016). Here’s Why Intel’s Latest Manufacturing Agreement is a Big Deal. Fortune. Murphey, M., & Gause, R. (1974). UCF Research Guides. Industry Analysis. PESTLE Analysis. Business Horizons, 17(5), 27-38. Teich, P. (2017). The Whole Story on Microsoft Tapping ARM to Break Intel’s Datacenter Monopoly. Forbes. Yüksel, I. (2012). Developing a multi-criteria decision making model for PESTEL analysis. International Journal of Business and Management, 7(24), 52.